Medical Intuitive Jan Meryl describes the healing process in 4 steps. Underneath the physical level of being is a field of vibrating energy. Clean, pure, healthy source energy continuously flows throughout the field feeding the physical organs and systems of the body. Having a clean healthy energy field creates a healthy body and a happy person. Just like a mechanical system, the energy field picks up dirt and sludge that must be cleaned out from time to time so that the system can function optimally in order to absorb the flow of source energy that fuels it. Here is the way it works. The frequency level of your vibration determines the health of your energy field and your body. Vibrating at high vibration levels keeps the energy field clean. Low vibration energy deposits dirt, sludge and toxic waste energy into the field. As human being, we vibrate to both high and low frequencies. In the same way that it is important to go to the dentist to have your teeth cleaned regularly, and to take your car in to your car mechanic to have the oil and filters changed, it is also important to clean your energy field of the dark heavy energy build-up that clogs up the field. How and why do we vibrate different frequencies that create toxic waste? Thought creates emotions and emotions create vibration. Joy, love and passion vibrate at very high frequency rates. Despair, grief, anger, sorrow and fear vibrate at very low frequency rates. Throughout your life, you experience all of these emotions. Some of the energetic waste material gets naturally washed out of the energy field, but when we have trauma and when we hold on to low vibration emotions such as anger and fear, the sludge accumulates and gets stuck in the energy field. Energy field toxic waste deposits look like gray clouds and tar on the energy field. Energy field deposits block out the free flow of source energy that the physical systems need to function properly. When they sit on the field for a period of time, physical symptoms and repetitive negative events begin to appear. Physical symptoms and unwanted negative events signal you that you need energy field maintenance. When the field is not maintained and these blocks accumulate, then serious pain, illness and disease appears. Medical doctors can treat the symptoms, but they do not clean and clear the underlying energy field blocks that are the initial cause of most physical problems. In fact, they do not even know that they exist! So even after the physical symptom is reversed, if the sludge is still blocking the flow of energy that the body needs, another physical symptom will appear. 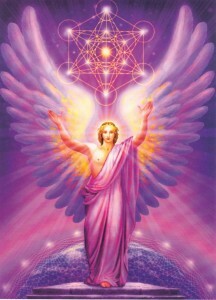 This cycle of pain, illness, possible depression and unwanted negative events will continue until attention is given to clean the energy field and allow the energy to flow freely throughout the system, allowing you to attract more positive people and events into your life and to manifest your desires. How can you clean and maintain your energy field? There are four basic steps to cleaning and maintenance. People create energy field cords that house their negative emotional energy and attach to other people. These cords look like black wires that emanate out from the energy field and connect the two people. A cord is a very real manifestation on the energetic level of being. It serves a purpose. In addition to storing negative emotional energy from an interaction with another person, the cord will relay negative energy between the two parties. The people that are connected to a negative energy cord are doing a dance. An action by one will cause a reaction in the other. When a person recognizes their part in the unpleasant interplay and chooses to disconnect from the dance, they may cut the cord in a meditative state. This will help the person to process the interaction and release the negative emotional energy rapidly. When spiritual lessons are learned, the negative energy is released and the cords are automatically discarded. Sometimes people get stuck in the dance for a very long period of time. Without realizing it they will go round and round, perpetually repeating the dynamic negative energy pattern. These negative patterns get moved along from one generation to another. Long-term storage of toxic negative energy that is stored in a cord can cause the body to create illness and disease. A fragment is a part of the spirit that gets stuck in time at an age when you experience trauma or when your needs are not met. Fragments draw negative people and events to you and they perpetually recycle negative emotions that affect your health and happiness. 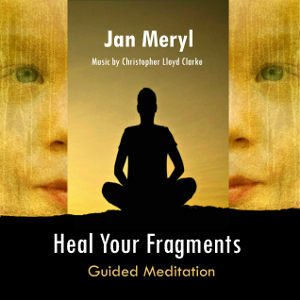 The guided meditation Heal Your Fragments can assist you to heal the hidden fragmented parts of your spirit that cause pain, illness, disease and unhappiness by guiding you through the process of connecting with your fragments, helping them to release the stored negative emotional energy of trauma and assisting them to be at peace and feel joy, thereby allowing them to become whole and integrate back into the fullness of you. 3. Clean your energy field at lease once each year. This part of the cleaning is the equivalent of cleaning your own teeth. Every day you brush your teeth, but to really clean them well and remove the plaque that is stuck on the teeth, you need a professional who uses professional tools. Because very few people know about or understand energy health, most people have a lifelong accumulation of tar-like sludge stuck in their field. As you get older, more and more accumulates. That is why older people tend to get sick more often and develop serious illness. Can you imagine never changing the oil filter in your car. You car would not be functioning well, or for that matter at all! At that point it is time to call in a professional. That is what I do as a medical intuitive healer. It is my job to guide you through the process of cleaning the energy field and fine tuning the system so that you may live a happy health life. You are creating a new reality every moment of every day with the energy of thought and emotion. Be a conscious creator. Set the intention of what you choose to create daily and let the universe know what it is. It will give you back what you ask for. The Universe is like a waiter in a fine restaurant; it gives you what you order up. The only difference is that it does not understand the word “No.” When you say, “do not bring me this or that,” it will still bring it. Fears are the equivalent of saying “Do not.” That is why we must clear our fears and focus on what we desire, not on what we do not want. So pay attention to your words, thoughts and emotions throughout each day. Have an intention to keep them positive. When you feel that there is negative energy present, process it and choose to release it, and then shift your focus to positive thoughts and feelings. Have you had your annual energy field health scan. Have you cleaned and cleared the toxic energy waste from your field? Call Jan for an annual Energy Field Scan and Healing Session now. Copyright © 2008-2017 Jan Meryl. All rights reserved. No part of these publications may be reproduced, stored in a retrieval system, or transmitted in any form or by any means, electronic, mechanical, recording or otherwise, without the prior written permission of Jan Meryl. Jan Meryl is not a medical doctor and claims no formal training in psychology or medicine. All her training has been gained through meditation, contact with spirit guides and many years of learning from the information revealed in her medical intuition readings. Through these modalities she has helped thousands of people to grow and understand who they really are and how they create their own personal reality. Intuitive readings will offer information about the energy that you carry. 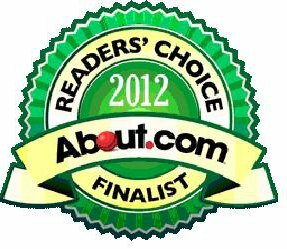 If you are seeking a medical diagnosis or treatment, you should see a doctor. 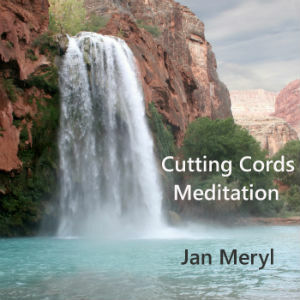 The services provided by Jan Meryl include intuitive perception only. It is the individual responsibility of any and all participants to use your free will to determine the choices that you make in your life that are right for you. Jan Meryl does not accept any assumed or implied responsibility whatsoever for your choices or actions made subsequent to her readings and use of her self-healing products. Any referral to another person, product or company is done without endorsement. All Content © 2017 Jan Meryl. All Rights Reserved.